is the Vice President of Sales and Marketing for Legendary Arms Works, please welcome Jack Delozier! In self defense instances you may not be arrested or charged, which is great. Unfortunately in our extremely litigious society, the family of the person you defended yourself against might sue you in civil court. Second Call Defense also offers Civil protection. With the Advocate plan and up you will receive unlimited civil suit protection and also civil damages payment. With the Protector plan you get 100,000 dollars of civil damages. If you are sued and for some reason they win, SCD will pay your policy limit in damages. Christian Grey: It's just behind this door. Anastasia Steele: Like your Xbox and stuff? Christian Grey: It's important that you know you can leave at anytime. Anastasia Steele: Why? What's in there? Christian Grey: I meant what I said. The helicopter is on standby to take you whenever you want to go. Anastasia Steele: Christian, just open the door! Anastasia Steele: [walks into the room] Oh my God. Thanks to Manticore Arms and don’t forget you can get all kinds of awesome accessories for your rifles! Tonight let’s focus on AK’s. Need a muzzle device? Aaron what should they try? Aaron: AK Nightbrakes and eclipse flash hiders! What if they want to replace the forend? Aaron: How about the ALFA Rail? Need your help, I have been getting advice from everyone I know on training guns. I want to use them in my pistol classes for my students. At the NRA store I looked at a half a dozen or so systems and just wanted to hear what all of you think before I make my final decision. I like the cost of the SIRT and LASR system but it would be nice to have a gun that has a \'blow back\' slide to help with recoil management and sight picture etc. I want to be able to use my projector to use as a VR range for the indoor portion of the class. Thanks for your help and see you soon! PS Jeremy... after our special night at the bar during the NRA meeting you never called me? What\'s up Bro? In addition to our amazing sponsors, our show is crowdfunded. You agree to support us and we will send you cool stuff AND . The best part is you get rewards back. 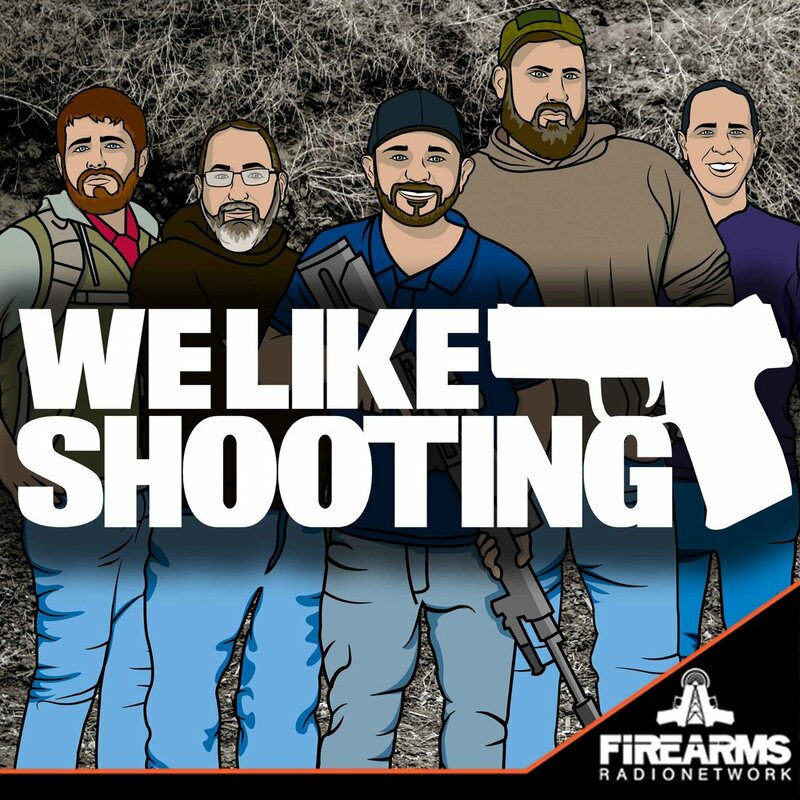 We’ve given away 2 rifles, a Canik TP9-SA, a suppressor and 200 bucks for the tax stamp in the last 6 months! When we reach $700 per episode, we’re giving away a Sonoran Desert Institute complete AR-15 build kit!